Get things done FASTER with eRequest! Purchase items and post jobs in MINUTES not days! A web-based form creation, routing, approval, and delivery system integrated with Active Directory and Meditech. 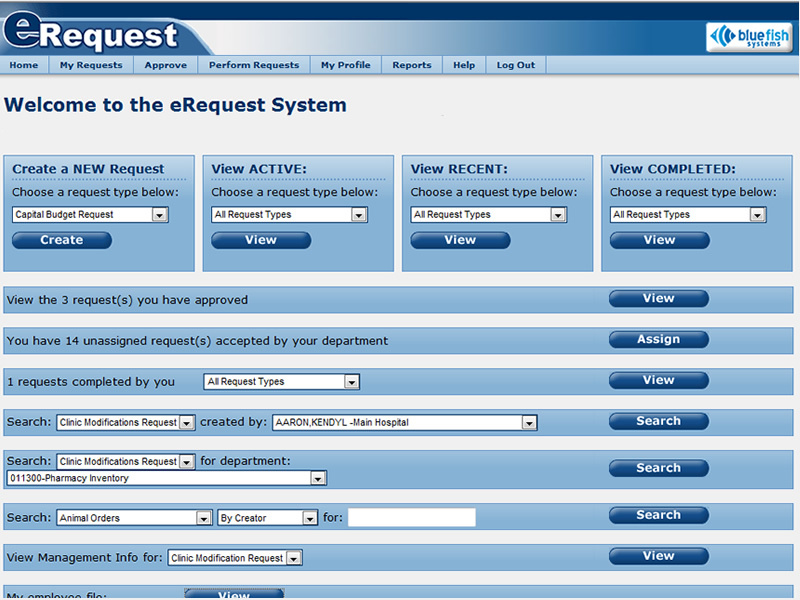 eRequest is a web-based application designed to replace traditional paper-based requests used by large organizations. Take only MINUTES to create, route, approve and complete purchase orders, check requests, travel, employee changes, job postings/descriptions, evaluations, terminations, work orders and any other types of paper forms you currently use. Doing ALL this while following YOUR business rules! eRequest is a complete ERP (Enterprise Resource Planning) system that can interface with any number of information systems, including Meditech, and can be programmed to apply specific business policies and procedures. Paper forms need to be routed all over an organization, and can easily be lost. 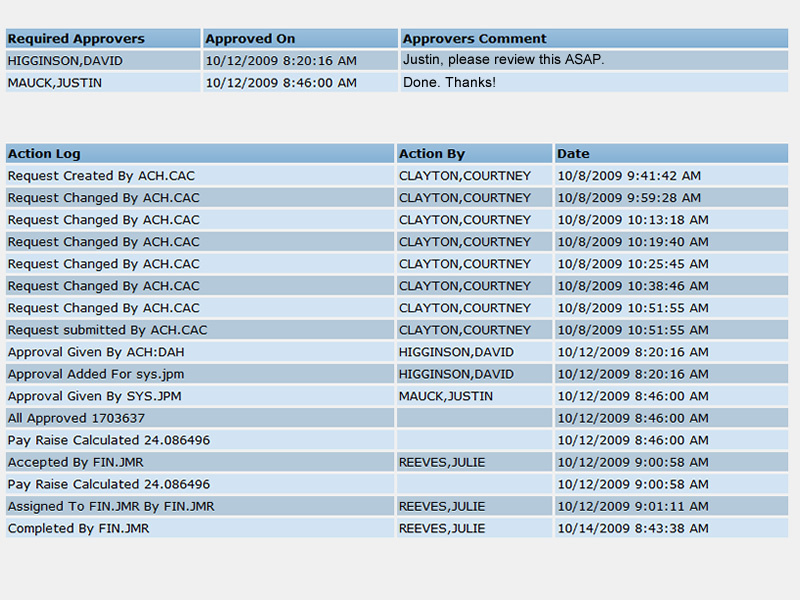 All eRequests are 100% digital, and are archived regularly. Once submitted, requests are instantly sent to the appropriate approvers. 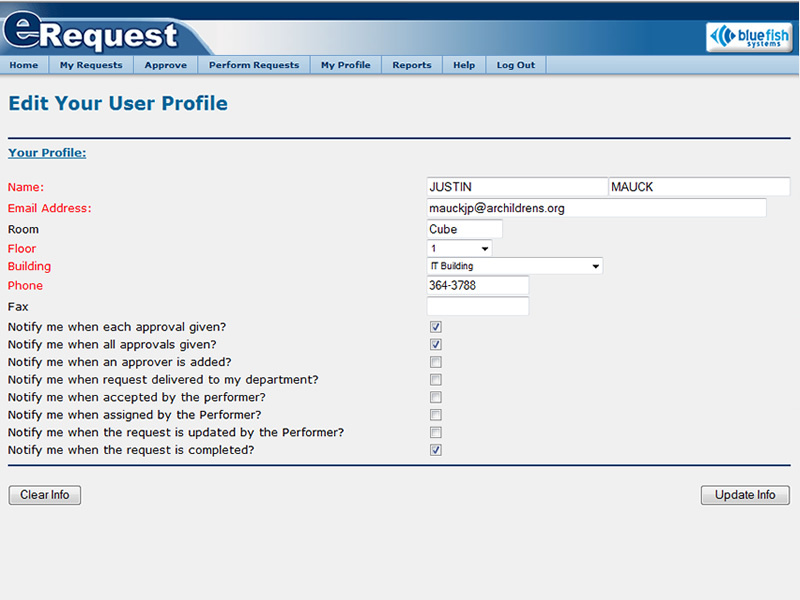 Users receive notifications in real time as eRequests are routed through the system. Every request has a complete action log, documenting when the requests were submitted and completed, who completed the requests, and more. Learn about our HR Applications package, which includes an Online Applications website and more! 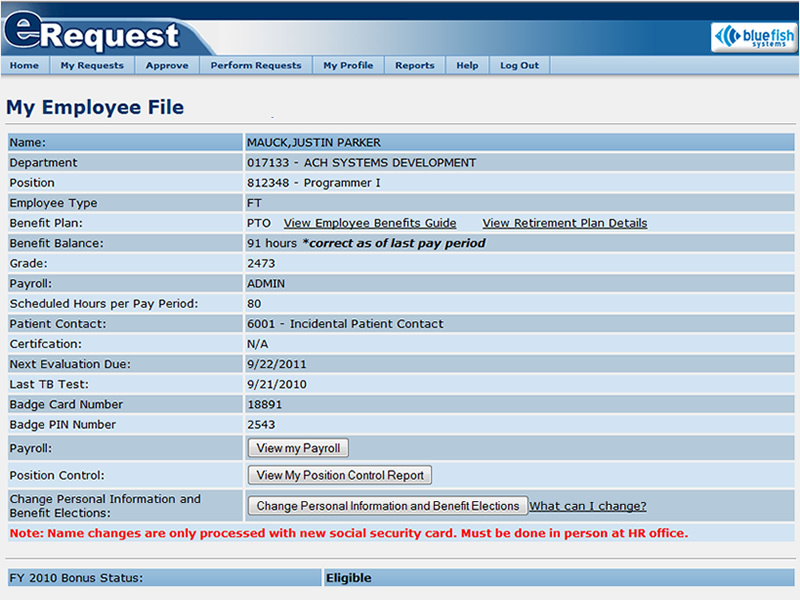 Additionally, all organizational users will have access to a "My Employee File," which can be configured to display information including current ETA/PTO balances, job descriptions, employee benefits guides, and more. How long has eRequest been in production? eRequest has been in production since 1999. To date, over 2,000,000 eRequests have been created. Our institution does not use Meditech. Can we still use eRequest? eRequest was designed to integrate directly into the personnel modules found within Meditech, although it may be possible to configure eRequest to run in a non-Meditech environment. Please contact us for additional details. eRequest is SIMPLE to use, yet very powerful in its flexibility to provide one, easy-to-use place to create, route, approve and complete every type of financial, HR and task request that we need.